Lecturers’ mobility is one of the most important factors for performance estimation of activities of universities and scientific establishments. International mobility contributes to the development of new endeavours of education and researches, including multidisciplinary ones, solutions of global modern problems, the formation of the culture of international communication, improvement of workforce capacity in educational, scientific and innovation spheres. Due to the support of the Center for Ukrainian and European Scientific Cooperation, academic and research staff as well as postgraduate students and young scientists undertook an internship and upgraded their skills in leading foreign universities. On January 21 – February 1, 2019, scientific and pedagogical internship “Technical education as a component of the education system of Ukraine and EU countries” took place in Włocławek (the Republic of Poland). Head of the Organising Committee was Michal Sojka, Dr. 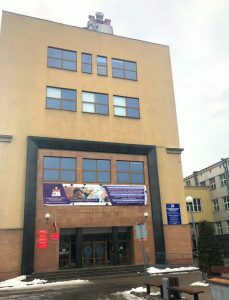 Eng., Dean of Engineering Faculty, Cuiavian University in Włocławek. individual work with teaching and learning aids – 120 hours. Fedorov Yevhen Yevhenovych, Doctor of Technical Sciences, Professor, Professor at the Department of Robotics and Specialized Computer Systems, Cherkasy State Technological University. Upon the completion of the internship, the participants will receive collections of abstracts and certificates of participation in scientific and pedagogical internships (in two languages). We express gratitude to all participants of the internship!